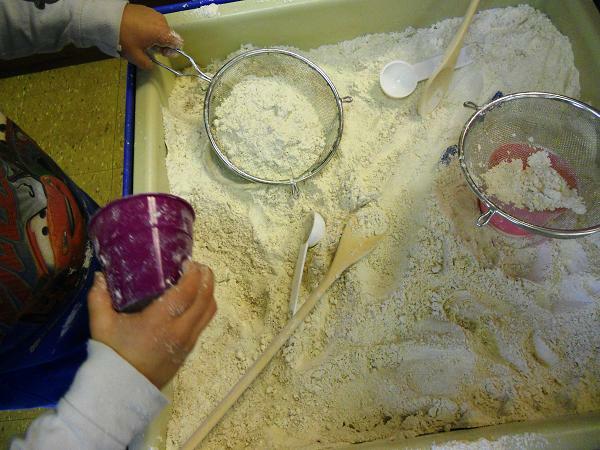 We put the sand away for the month of December and created some new fun in our "sand" table. Beware--this is a messy table. We actually have to bring out the vacuum after each use. Plus, many of the children go home "white." 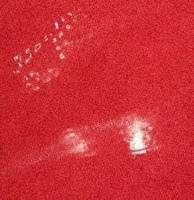 This table is a terrific smelling table made with flour, salt, and senses. 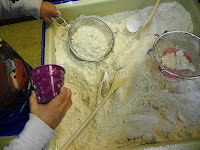 We then put some sifters, spoons, and scoopers in the mixture and allowed them to enjoy. 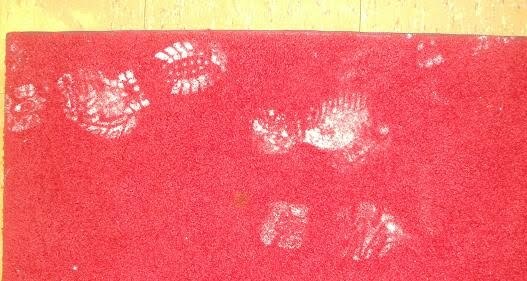 It smells really, really good, but it can make quite a mess. I bet this smells delicious! A feast for the senses. Keep the Dust Buster nearby! I teach preschoolers with special needs. 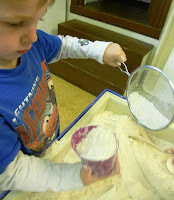 I love this as a sensory center. It is very important to me to make sure I give my students as many opportunities to be introduced to new textures, smells and experiences. I will be using this in class very soon. It might be a little messy but very worth it. MERRY CHRISTMAS EVERYONE AND HAPPY NEW YEAR!